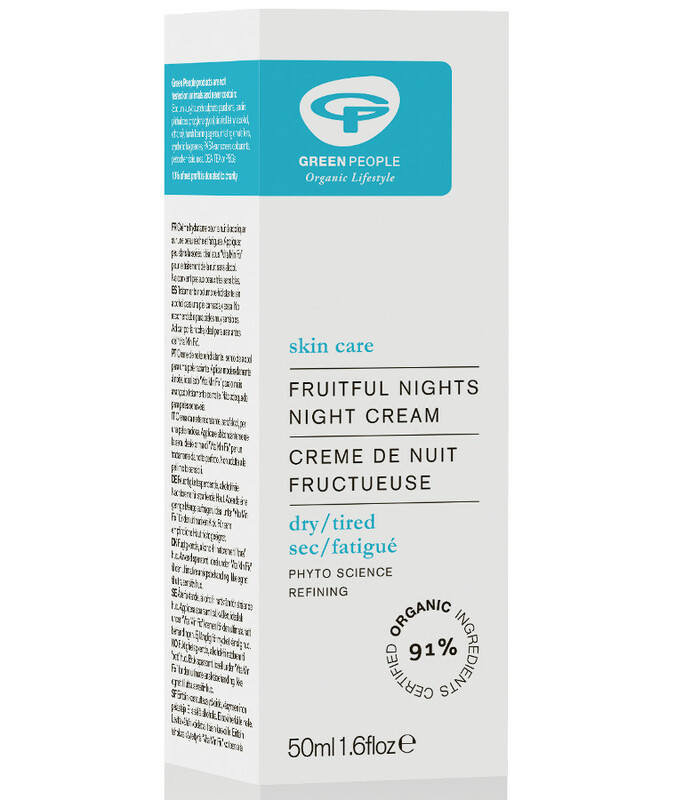 Help blemishes and imperfections become less apparent with this Organic Fruitful Nights Cream from Green People. 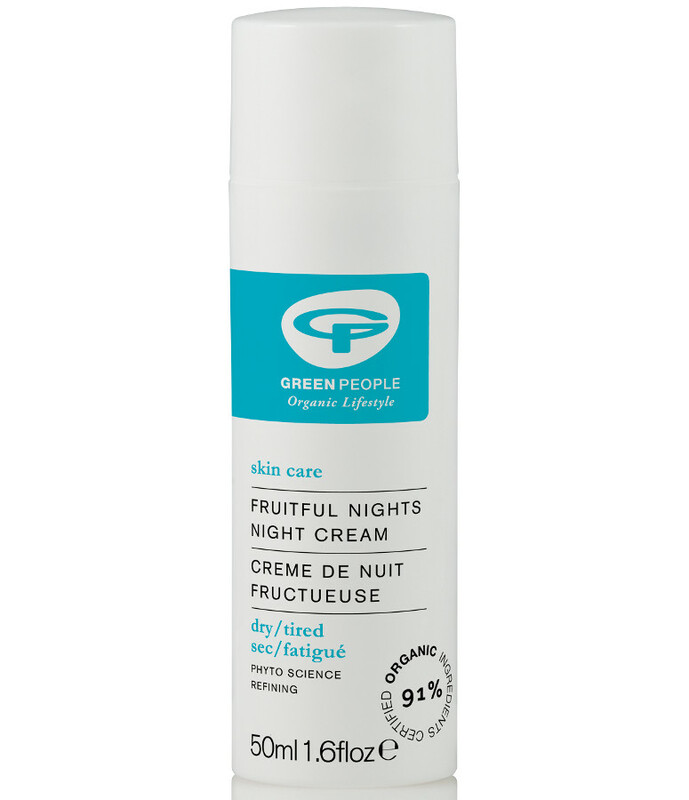 This organic cream contains fruit extracts which naturally lift away dead skin leaving skin rejuvenated and fresh. 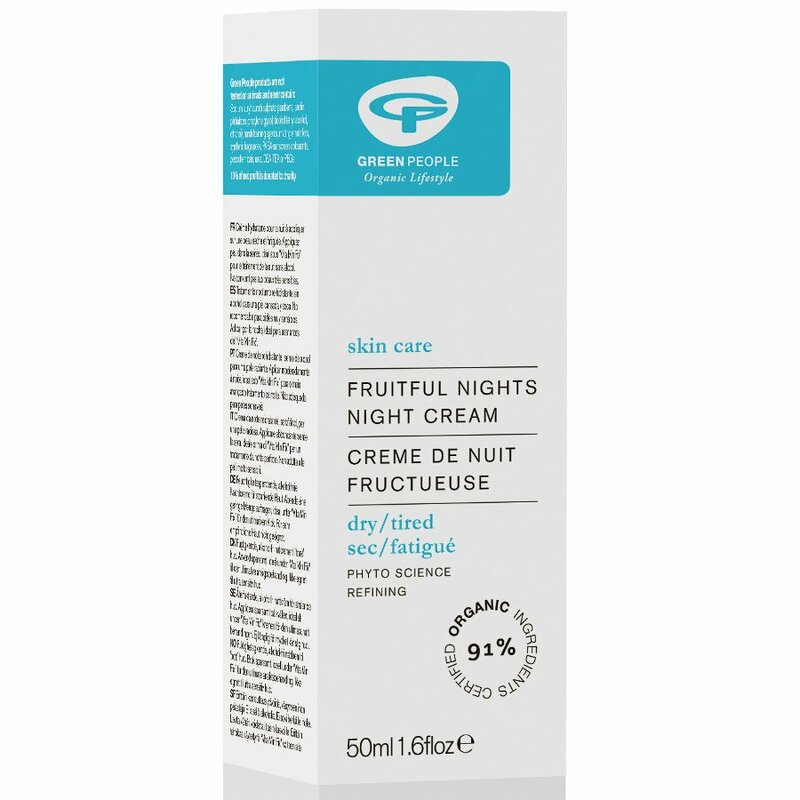 Containing organic Rosehip, Magnolia, Damask Rose, Hibiscus & fruit extracts, this cream will minimise fine lines and leave skin with a more even, soft and supple texture. Suitable for normal, dry and even oily skin. Please note this product is not suitable for use on very sensitive skin. Free from Parabens, Lanolin, alcohol (ethyl alcohol, ethanol), artificial perfumes, petrochemicals, phthalates and colourants. 100% certified product, 91% certified organic ingredients. Directions for use: Use as a night cream only. After cleansing and toning, apply Fruitful Nights sparingly using light tapping motions. Use on its own or under a rich night cream for a sensational skin treat. 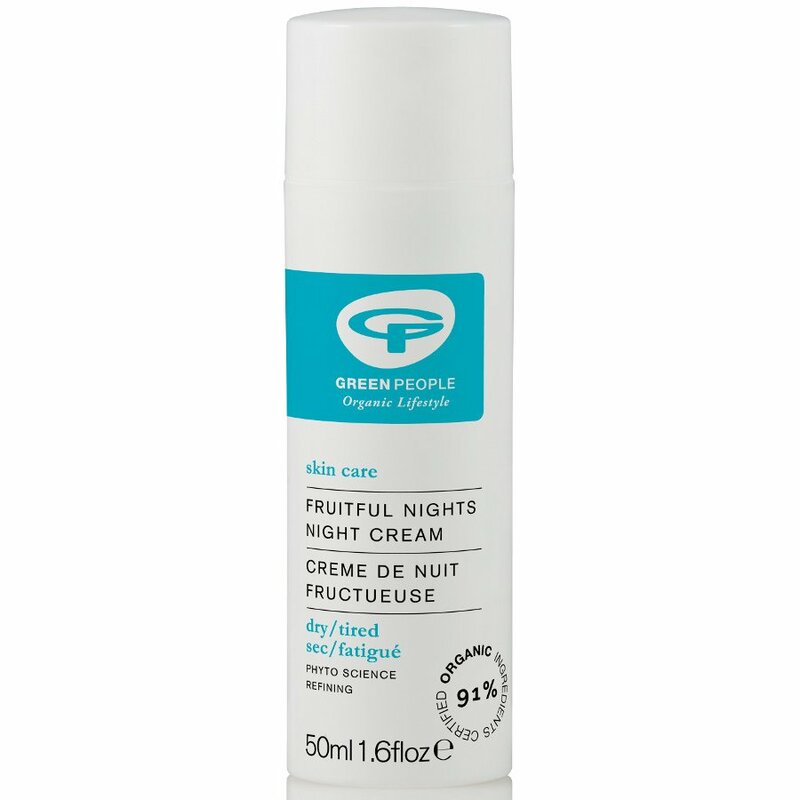 There are currently no questions to display about Green People Fruitful Nights Cream Moisturiser 50ml.